After Jacob steals Esau's blessing, he flees Esau to journey to the land of his maternal uncle Laban. 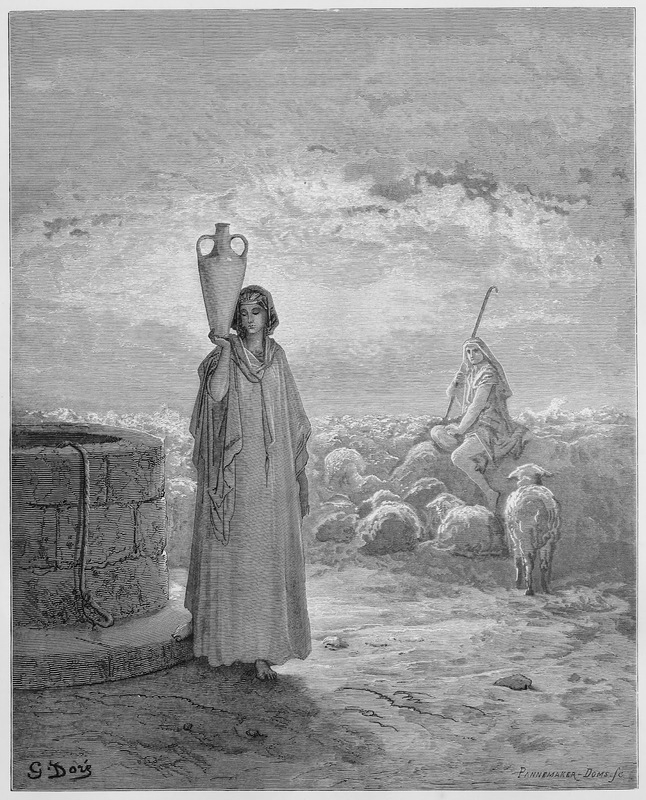 At a well, Jacob sees and falls in love with Rachel, Laban's daughter. He asks Laban for Rachel as a wife, offering to work for Laban for seven years in order to earn Rachel. After the seven years are up, he has a wedding, and only discovers after the consummation that he had been tricked into marrying Leah, the older (and less attractive) sister of Rachel. Laban points out that Leah is the older, and should be married first, so Jacob offers to work for another seven years for Rachel. After his marriage to Rachel, Jacob fathers several sons by Leah, a couple by Leah's servant woman, and a copule by Rachel's servant woman. Finally Rachel bears Joseph (Jacob's favorite son) and Ben. After God's test of Abraham in the sacrifice of Isaac, Sarah dies, Isaac marries Rebekah, and Abraham dies. Following these events comes the story of Jacob and Esau. The story almost ignores Isaac's life as an adult, and skips on to his sons Jacob and Esau. Finally, God gave Sarah the promised son, Isaac. 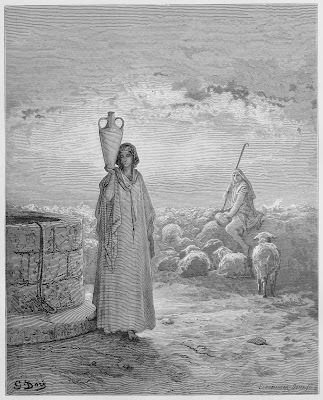 Due to her love of Isaac and her jealousy of Hagar and Ishmael she expelled the two. Abraham was loathe to abandon Ishmael to the elements, but God promised to take care of Ishmael, and that he would be the father of of a nation, so Abraham trusted God and did what he was told. In Chapter 18 of Genesis two angels and God appeared at Abraham's tent. Abraham saw them and thought they were three men, so he rushed to extend his hospitality to the guests. 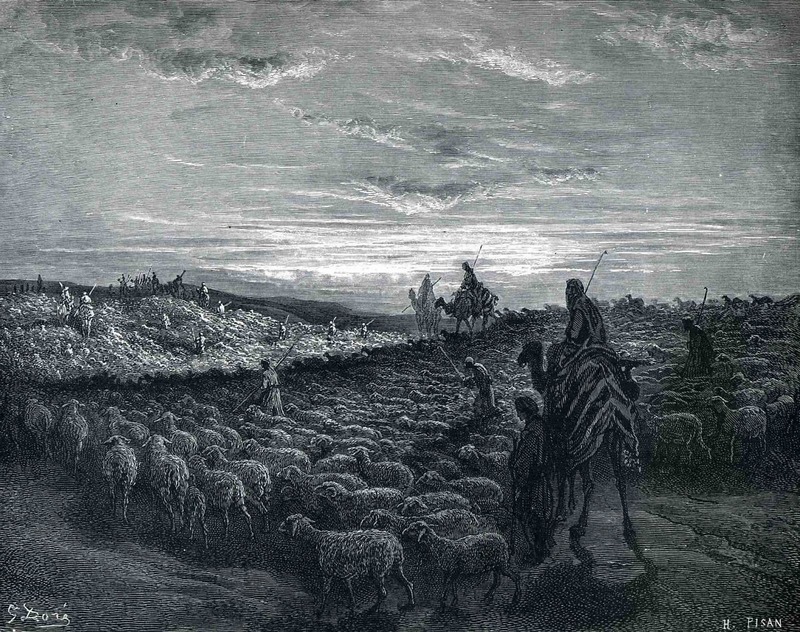 Hospitality was of very high importance to Abraham's culture, and he did everything right. 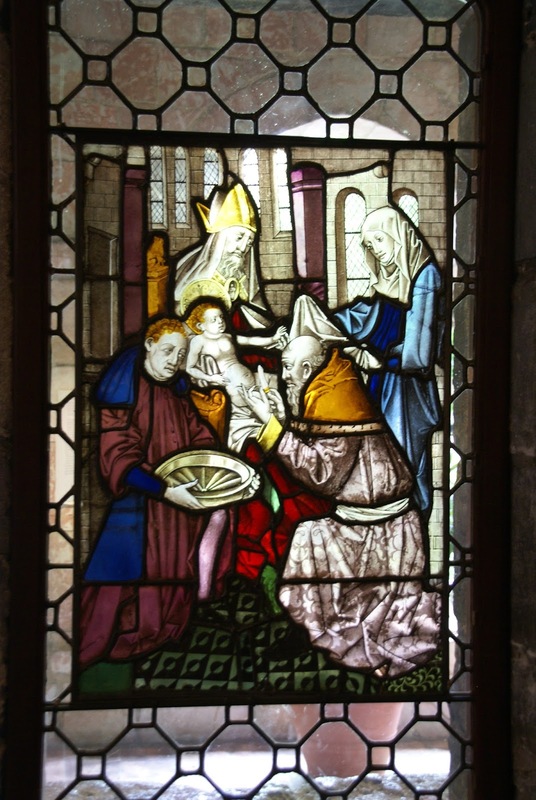 He set Sarah to work kneading flour, prepared a calf, and provided curds and milk. After this, the angels and the LORD revealed themselves to Abraham and told him that Sarah would bear a child. Sarah, who was eavesdropping, laughed at this, and the LORD scolded her. Sarah, afraid, denied laughing. This has been an uneventful week for me. Things are going well at work, though I'm working a little too hard these days and have decided I don't have enough time for all the books I'm reading. Sadly, I've had to cut out a few of the books in my currently reading list, so that I can finish SOMETHING this month. Also my male cat, Puck, whom I have not had money to fix yet, has started spraying. Yuck. It has not been going on long and I'm hoping the behavior will stop once he's neutered. The internet says that he'll probably spray for a little while after being fixed, but if the behavior has not been going on long there's a good chance he'll stop. This is exactly why I didn't want a male cat at all, but, alas, when I had the chance at two free kittens one of them was male. And the vets convinced me to fix the female first. Shouldn't have listened. I am leading a discussion of 6 Books to Help Understand Trump's Win. This is a discussion of the first book: The Unwinding by George Packer. Anybody may participate in this discussion. I have made a Google Doc for the ease of discussion. The Google Doc is here. Chapter 6 of Kugel's How to Read the Bible covers the call of Abram to leave the land of Canan (Genesis 12 - 15). 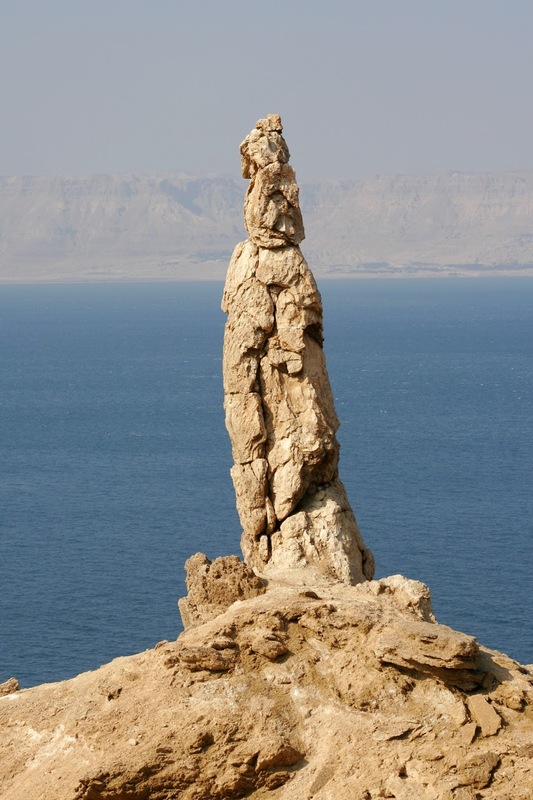 Abram (or Abraham) is thought of as the first monotheist, but where did this legend come from? 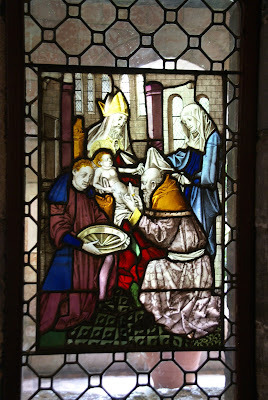 It is not explicitly stated in the story of Abram that he is monotheistic (though allusions to it are included in the New Testament and supporting documents written later in the Hebrew history). This belief that Abram was a monotheist comes originally from early scholars who believed that Abram must have done something to deserve being singled out by God and given great nations of descendants. Abram's story continues with a vision from the LORD. Abram complained to the LORD that despite His promise when Abram left Chaldea, God had given Abram no offspring. So God renewed his promise that Abram would have numbers of descendants to rival the stars. But Abram was still not satisfied. He asked: "O LORD GOD, how am I to know that I shall possess it?" (Genesis 15:8 ESV). God requested a sacrifice, which Abram provided. Thus a covenant was formed. But the LORD said "Know for certain that your offspring will be sojourners in a land that is not theirs and will be servants there, and they will be afflicted for four hundred years. But I will bring judgement on the nation that they serve, and afterward they shall come out with great possessions." (Genesis 15:13-14 ESV). 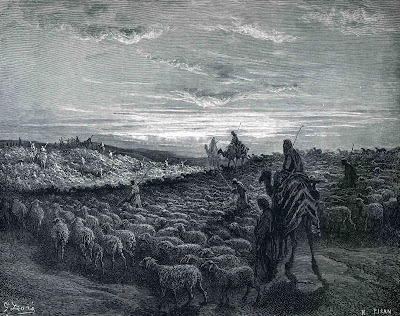 Genesis 12 describes God's call to Abram to leave his home and family in the land of Chaldea and travel forth to the land which God appoints for him. God promises "And I will make of you a great nation, and I will bless you and make your name great, so that you will be a blessing. I will bless those who bless you, and him who dishonors you I will curse," (Genesis 12:2-3 ESV). So Abram, his wife Sarai, and his nephew Lot all traveled forth to the land of Canan, where they settled. Until this year, I wasn't very familiar with the Tower of Babel. I'd heard of it, of course, but never thought about it. The story is one paragraph in Chapter 11 of Genesis. The people, who were united and had only one language, said "Come, let us build ourselves a city and a tower with its top in the heavens, and let us make a name for ourselves, lest we be dispersed over the face of the whole earth." (Genesis 11: 3 ESV) And God came down to see the tower and was displeased because "Nothing that they propose to do will now be impossible for them." 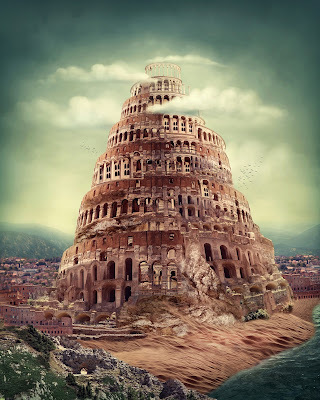 (Genesis 11:6 ESV) So God confused the language of the people so that there were many languages. The people could no longer understand each other, so they dispersed across the earth. Years ago, three children disappeared into the woods near the small town of Knocknaree - only one was found. He was covered in blood and remembered nothing of what happened. Years later, that little boy is a grown man and is a detective with the Dublin Murder Squad. When a new child murder case pops up in Knocknaree, detective Ryan struggles to remember what happened to him all those years ago. This book is really hard for me to review because in some ways it was very, very satisfying, and in some ways it was dissatisfying. But the dissatisfying aspects were where realism meets mystery / police procedural. I guess the element of realism, and the fantastic writing, are why people consider this a piece of "literary fiction" (whatever that means). I can say that some of the twists were predictable to me, but I was still very interested in how the story was going to turn out. I can't say more without spoilers, so I'll leave it at that. This review will contain light spoilers. This is part of an 11-month group project to read a chapter a day of Harry Potter and comment on a theme. These posts will contain spoilers. Today's theme is "generosity." Well, the new year has begun quite well for me on the reading front. As you can see below I'm reading a lot of books. This new reading mania is mostly due to the new year and new goals which I haven't whittled down to a reasonable level yet. But part of it may actually be the start of hypomania. I dropped my Abilify cold turkey a week ago because my new insurance was going to charge me $240 per month for it. Isn't that ridiculous? I feel like taking a moment to rant about the broken system in which people have to pay so much money for insurance, and then so much money for medical care. The system is so broken. This is part of an 11-month group project to read a chapter a day of Harry Potter and comment on a theme. These posts will contain spoilers. Today's theme is "fear." Because the world was filled with evil people, God "regretted that he had made man on the earth, and it grieved him to his heart." He decided to blot humans out. Luckily for humanity, though, Noah found favor in God's eyes. God gave Noah precise instructions on how to build an ark to protect Noah, his family, and pairs of every living thing of the world from the flood. After they were safely ensconced in this ark, "the fountains of the great deep burst forth, and the windows of the heavens were opened" (Genesis 7:11). The rain fell for 40 days and 40 nights. The earth was covered even to the tips of the highest mountains. And the water remained for 150 days. 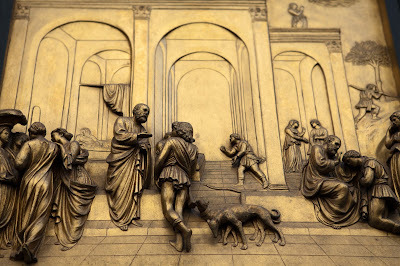 Another 40 days elapsed, and Noah released a dove from the ark to determine if it were safe to disembark. On the second attempt, the dove returned with an olive branch, and on the third, it didn't return at all. But Noah still waited until God told him to come out before disembarking. (I'd say this was probably the wisest choice.) 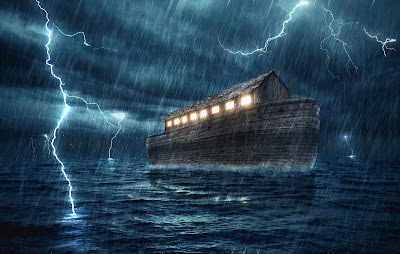 When the occupants of the ship were safely on dry ground, God made a covenant with Noah and his descendants that he would never again destroy the earth by flood. The rainbow is the sign of that covenant. This is part of an 11-month group project on Litsy to read one chapter of Harry Potter a day, and to comment on a theme each day. These posts will have spoilers. Today's theme is loneliness. Adam and Eve at first bear two sons - Cain and Abel. 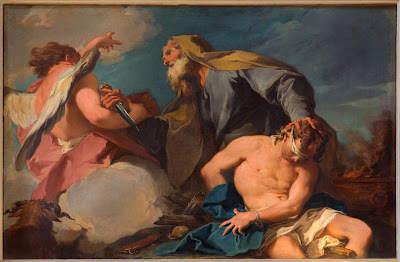 These two offer sacrifices to God, who smiles upon Abel's offering but is not pleased with Cain's offering. 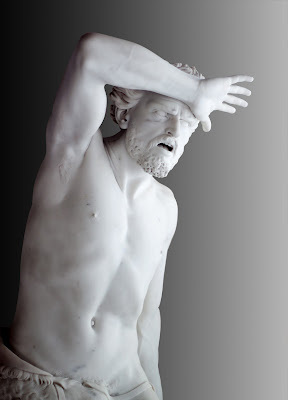 In a jealous rage, Cain kills his brother. When God discovers the murder, he banishes Cain to a life of wandering - he can no longer work the land to get food, so he becomes a nomad. Cain worries that someone will kill him for what he has done, but God says that anyone who kills Cain will be punished seven-fold. There's an 11-month project on Litsy to read one chapter a day of Harry Potter and comment on a theme. Today is the first day of the project, and we're reading Chapter 1 of Harry Potter and the Sorcerer's Stone with the theme of commitment. These posts will contain spoilers. The second chapter of Genesis expands upon the story of the creation of man, which is introduced in the first chapter. 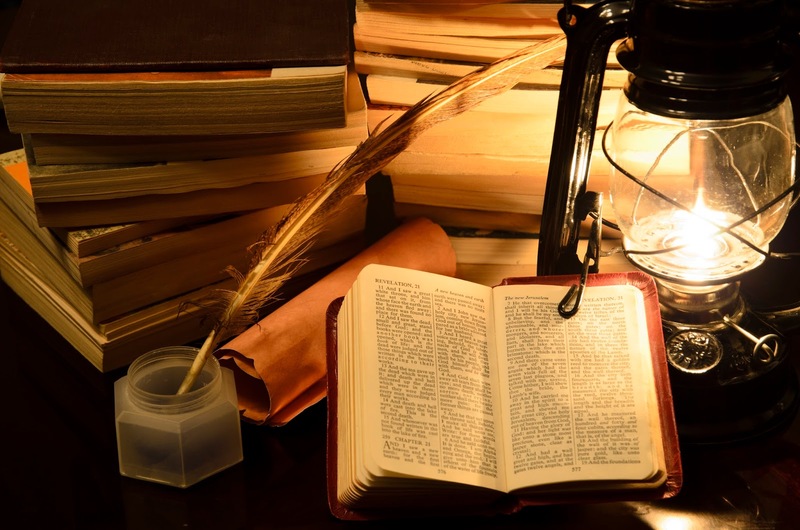 This second chapter takes place in a slightly different order than God's acts in the first chapter - the two chapters are attributed to different authors. NABRE: And a mighty wind sweeping over the waters. NRSV: While a wind from God swept over the face of the waters. kjv: And the spirit of God moved upon the face of the waters. Personally, I like the ESV best. There is only one character in the chapter - God - and very little is said about who he is...only what he does. What we should think of God? He created the earth, but was he omnipotent? What were his reasons? Who was God? These issues are left a mystery. 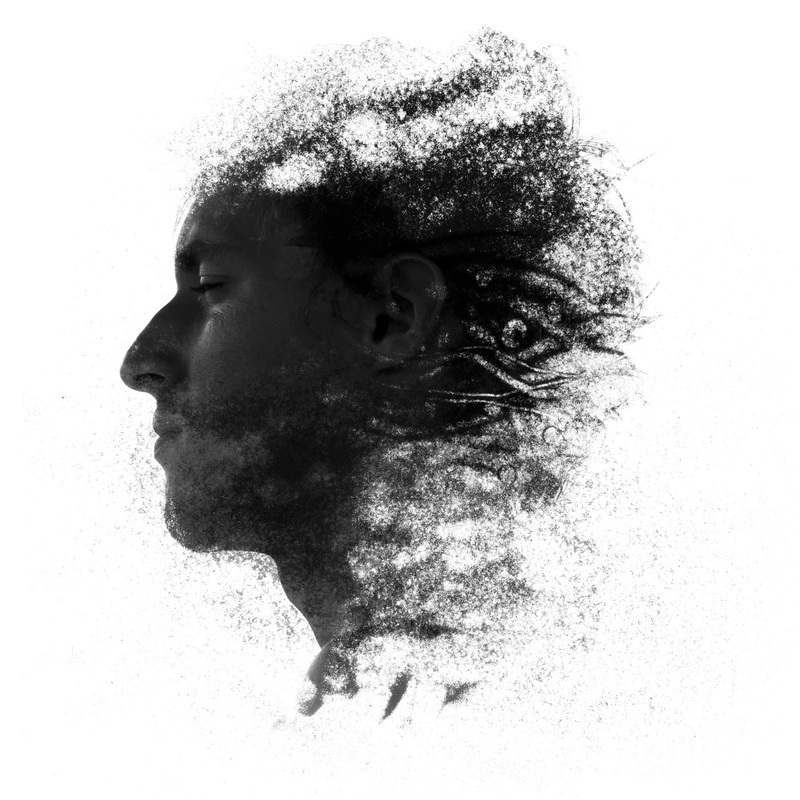 Most people already have an idea of who they think God is before starting the Bible. Is this why God was left a mystery? Or is it because God is a mystery? Ryken, Leland. Ryken, Philip. (2001) The Literary Study Bible, Wheaton, IL, Good News Publishers. I will be joining Risa at The Next Chapter in reading Paradise Lost over a period of a year (one book per month). 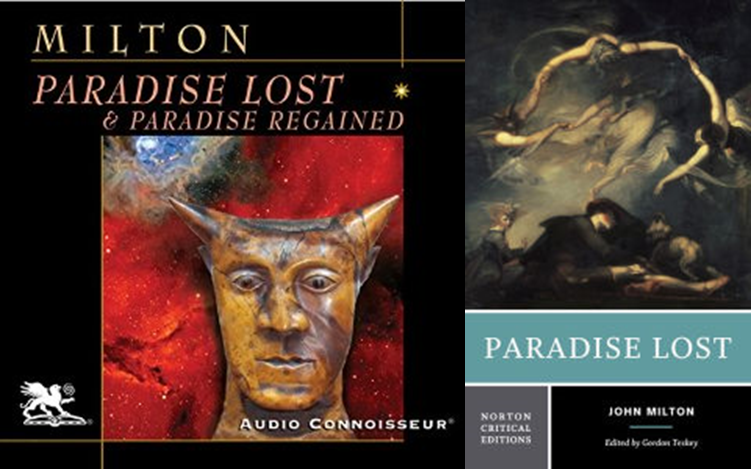 I'm reading the Norton Critical Edition, and listening to the audiobook narrated by Charlton Griffin. A few months ago, I challenged people to read some or all of the "6 books to Understand Trump's Win" from the New York Times article. We will read the first book of this series, The Unwinding by George Packer, in January and February. It's not necessary, but it would be fun if you'd comment below to let me know if you're reading the book so I can be sure to follow your blog! The Unwinding is separated into 3 parts, and I will have discussion questions for each part. You do not have to read at the same pace as me. But if you're interested, you can make a blog post of your thoughts, or just write your thoughts in my comments section for each discussion post. Would people be interested in starting a Google Doc discussion as well? If so, I can set that up. This year, one of my big projects is to read the Bible cover to cover. Everyone is welcome to watch my progress or read along with me. Sign up and schedule post is here. Several people have approached me about the pros and cons of reading the Bible cover to cover instead of reading it in assigned excerpts in programs designed by professionals. Lots of people get bogged down in the genealogies, my friends say, and they quit. My answer to this is that cover to cover is not a great way to read the Bible for spiritual or historical approaches, but for a literary approach it makes sense to read each book as one literary unit. That way we can appreciate the style and story progression of each book.